We provide laundry services in Charlotte to keep your clothes clean and pristine. Sometimes, laundry can seem like a chore that never gets done. As soon as you have folded the last load, more dirty clothes appear in the basket! In Charlotte, North Carolina our staff at Fiv5 Star Cleaning can step in to help lighten the load. We know that keeping a household running entails more than just keeping the floors and furniture clean. Having clean clothes and clutter-free, organized closets is all part of the important job of keeping your house a sanctuary rather than scene of chaos. We can help your home stay clean an organized with regular laundry services. Our service is reliable, efficient, and useful. Our employees are thoroughly trained. You can rely on our maids to provide quality work that is finished on time with no hassle. Imagine coming home to your clean, folded laundry rather than piles of clothes to be washed. Our laundry services can make that dream come true for you in the Charlotte area. 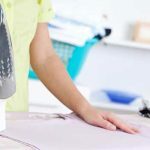 As part of our laundry services, we provide expert ironing and washing services. You will find all of your clothing fresh and wrinkle-free. We also have the expertise to work with clothing items that may need special care or attention. Just let us know if you have items that you would like given special treatment. You will find quality work with all of our washing services. Contact us today to learn more about our laundry services. 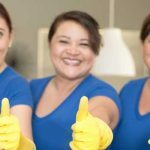 We look forward to working with you to provide top-notch service in Charlotte to make sure your home stays clean and well-cared-for in every way. 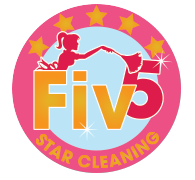 At Fiv5 Star Cleaning, we offer laundry services in Charlotte, Concord, Cornelius, Gastonia, and Mooresville, North Carolina, as well as Rock Hill, South Carolina.